Artists, crafters, designers, writers, singers, and creative people of every stripe sell their creations online every day. Whether you sell through your own website, an online marketplace such as Etsy or eBay, or at a local art fair, having a basic understanding of copyright law can be a tremendous asset. Whether you are worried about others violating your copyrights or want to know if you can legally sell your “fan art,” a foundational background in copyright law is essential. Please note that any discussion of copyrights or other legal issues is never a substitute for legal advice from a qualified attorney. If you need specific advice about a copyright issue you’re having, talk to a lawyer. Copyrights are a kind of intellectual property, or IP. Intellectual property is property that arises out of a creative process, such as an artistic endeavor, act of invention, or any creation of the mind. As with personal property, IP owners have the right to use their property as they wish. At the same time, people who don’t own IP are not entitled to use it unless given permission by the IP owner. Copyrights apply to works of authorship or artistic expression, such as articles, books, drawings, paintings, sculptures, films, songs, computer software, architectural plans, and even choreographed dances. Copyright owners have the exclusive right to use their protected properties, just as they reserve the exclusive right to use their car, shoes, or home. You create an original work. As long as your work is your own, you own copyrights to it immediately upon its creation. For example, if you write a short story, you are the copyright holder to that story as soon as you write it. You don’t need to register, sell, mail, or take any other actions to own copyrights for the work. Copyright law says that your work is copyrighted as soon as you create it. You affix, attach, or place the creation in a medium. You cannot copyright an idea, and your original idea isn’t protected by copyright until you affix it in some tangible or physical medium. The medium can be almost anything, from handwritten words on paper to digitally created drawings or designs. As long as your idea exists in something other than your head, it’s copyrighted. Reproduction. A copyright owner is the only person who can reproduce or copy the work, such as by making copies of a book, photograph, or painting. Anyone who reproduces your work, or even a portion of the work, without your permission violates your copyrights. Distribution. The copyright holder has the right to distribute and sell reproductions or copies. Public Performance. If you create a work, such as a play or film script, you have the exclusive right to perform that work in public. Note, however, this right only controls public performances. So, if you sell digital copies of a film you’ve made, you cannot prevent others from watching it in private, though they must have your permission if they wish to display it in a public setting. Public Display. Like public performances, public displays of your work are exclusively yours. So, if an art gallery wants to display your photographs, it must have your permission to do so. But, if you sell prints of your work, the buyers can display them in their homes since such displays are not public. Derivative Works. You have the exclusive right to create derivative works of your copyrighted work. For example, if you write a book, you have the right to make and sell posters, t-shirts, and other similar items that are based on that book. You, as the creator of an original work, do not have to register that work with the United States Copyright Office to own the copyright to it. As soon as you create your work, you are the copyright owner. But owning copyrights and enforcing them are two different things. One of the strange aspects of copyright law arises from registration. Though the rights you have as a copyright owner take effect as soon as you create the work, and there is no requirement that you register the work to own the copyrights for it, you cannot file a lawsuit to protect your work unless you’ve registered it. While you can take some steps to protect your work, such as filing a DMCA takedown notice, you cannot ask a court to issue an injunction or award you damages – by filing a lawsuit – until you’ve registered. Registration of any copyrighted work is simple. You must register your work through the United States Copyright Office, and can do so electronically or via mail. Registration costs $35 to $55 if you do it on your own, or more if you hire an attorney to do it for you. Each individual registration takes between 6 and 15 months to process, after which you’ll receive notification that your work has been registered. Establish a Public Record. If you ever have to protect or dispute your copyright claim, registration establishes a clear public record of when you created and registered your work, as well as what the work entails. Establish Validity of Your Claim. If you file your copyright within five years of publishing your work, courts will assume that your copyright claim, and the statements made within it, are true. That means that if someone wants to challenge your claim, it is up to the challenger to show evidence to prove that your claim and statements are false. Recover Attorney’s Fees and Statutory Damages. You can only recover attorney’s fees and statutory damages in an infringement lawsuit if you file for registration of your work within three months of publication. Otherwise, any infringement lawsuits you file will be limited to actual damages. Register With U.S. Customs and Border Protection. Registering a work with the USCBP allows the agency to protect against infringing copies of your work from being imported into the country. But, you have to register that work with the U.S. Copyright Office before you can register it with customs. Injunctions. If someone is violating your copyrights, you can ask a court to issue an injunction. An injunction is a court order that stops someone from taking action. In the case of copyright infringements, the injunction typically orders the infringer to cease any action that violates your copyrights. For example, if you find that a local store is selling copies of your t-shirt design without your permission, you can ask a court to issue an injunction that orders them to stop selling the shirt. Actual Damages. 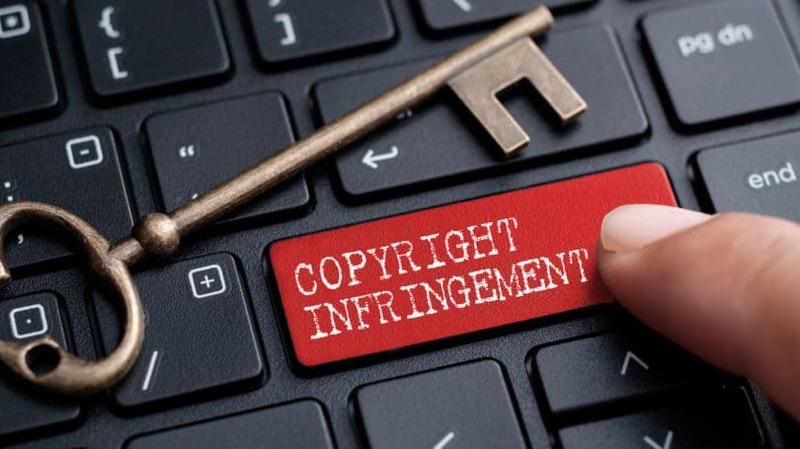 Sometimes called compensatory damages, actual damages in a copyright infringement case are what you, as the copyright owner, lost because of the infringing activity. So, for example, if you lose t-shirt sales because of the infringer’s activity, the money you would have made from the lost sales is the actual damages in your case. Profits. If infringers profit from their activity, you’re entitled to receive the profits they make. But, you can only receive profits in excess of your actual damages. So, if you lost $10,000 in sales because of the infringement, but the infringer made $14,000 in profits, you’d be entitled to the $4,000 in profits as well as the $10,000 in sales. Statutory Damages. Statutory damages are predetermined damage amounts that apply to copyright infringements of some, but not all, registered works. To win statutory damages, all you have to show is that the infringer violated your copyrights in some way. For each work violated, you can be awarded up to $150,000 in statutory damages regardless of what, if any, actual damages you suffered. Attorney’s Fees. If you have to file an infringement lawsuit, it may cost you quite a bit in the way of legal fees. But, as long as you registered your work in time, you are entitled to recover those fees as part of your lawsuit. is an infringement of a work intended for commercial release, and is made available over a computer network accessible by members of the public. It’s also a criminal copyright violation anytime someone fraudulently makes or removes a copyright notice. For example, let’s say your friend gives you a manuscript she wrote. You read it, decide you like it, and start selling digital copies on Amazon. You aren’t the copyright owner, and because you are willfully violating the writer’s copyrights and trying to make a financial gain from your actions, you’ve committed a criminal act of copyright infringement. Further, if you sell the book with a notice that you are the copyright owner, you’ve committed an additional offense because you’ve fraudulently claimed copyright ownership. Unlike a civil case, you, as the copyright owner, cannot choose to file a criminal case. Instead, what you can do is report the suspected crime to law enforcement. If the law enforcement agency decides that criminal charges are warranted, they will file a criminal case. In that case, you may be asked to serve as a witness, but you are not responsible for filing a lawsuit or presenting a case to the court. If you suspect a copyright crime has taken place, you can contact a local Federal Bureau of Investigations field office or file a complaint online. If you believe the crime has taken place online, you can file a complaint with the FBI’s Internet Crime Complaint Center. The Digital Millennium Copyright Act, or DMCA, is a law that addresses how copyright infringement issues are handled when they occur online. Specifically, it allows online service providers a way to protect themselves from infringement issues that might risk their ability to operate online, while also allowing copyright owners to police and protect their works from infringement. File a DMCA Takedown Notice. 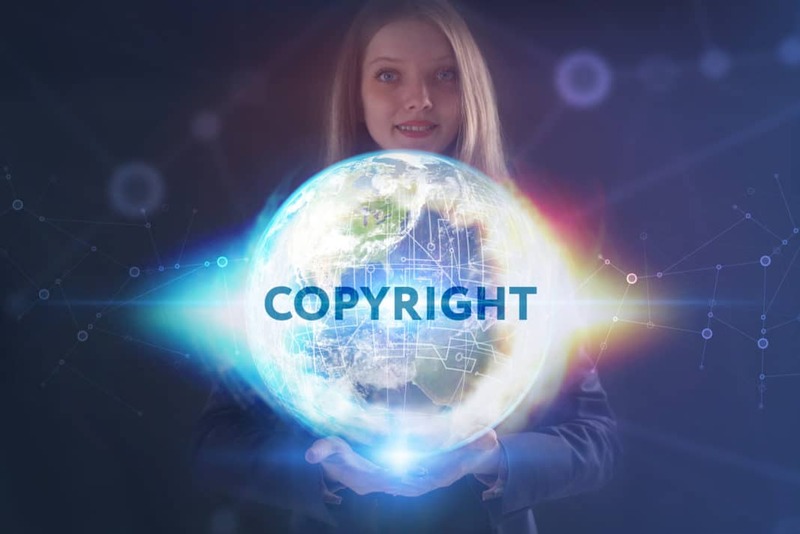 If you find someone online who is infringing on your copyrighted work, you can file a DMCA takedown notice with the service provider on whose site the infringement occurs. For example, if you find someone on Etsy who is selling a design you made without your permission, you can file the notice with Etsy’s registered DMCA agent. Once filed, Etsy must take down the infringing material. File a DMCA Counter Notice. If you have received a takedown notice and believe you are not infringing on someone else’s work, you can file a counter-notice. Once filed, the OSP must reinstate the page or content that was removed. File a Lawsuit. Once you go through the notice or counter-notice process, the only way to address continued infringement, recover damages for the infringing activity, or take similar actions against the infringer is to file a lawsuit. There are a lot of commonly asked questions that routinely pop up. Some of these are based on the law, some are based on old laws, and some are based on nothing more than wishful thinking. Familiarizing yourself with these questions, and understanding the answers, will go a long way in solving many of the common copyright issues you’ll encounter. One of the more common questions people have about copyright surrounds fan art. Fan art is anything people create that is inspired by, or based upon, a television show, book, movie, or almost any other form of timeline media. For example, if you love the HBO series “Game of Thrones,” you might want to create something based upon it, such as drawings of your favorite characters. You might then try to sell those drawings on a site like Etsy. After all, you may have based your creation on an already copyrighted work, but your creation is original. Unfortunately, that doesn’t mean you can sell it without violating copyrights. In almost all cases, fan art is copyright infringement. Unless you have permission from the copyright owner of the work on which you based your own work, you cannot make and sell fan art. If you do, you leave yourself open to a range of negative consequences, from DMCA takedowns to lawsuits, and even criminal prosecutions. Some artists or copyright owners do not mind if fans make, or even sell, products based on copyrighted works, while others do. Unless you have permission from a copyright owner to make and sell fan art, it’s safe to assume that any derivative work you create is copyright infringement. Is My Work Fair Use? Fair use is a legal doctrine that permits some uses of copyrighted material without the consent of the copyright owner. 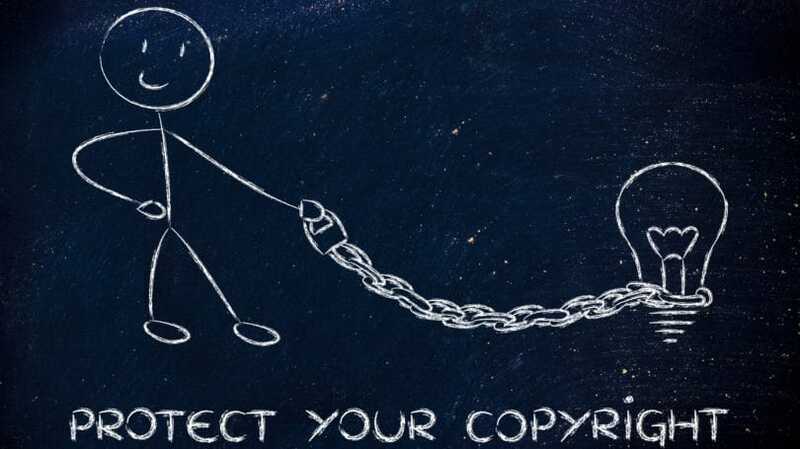 As long as you use a copyrighted work for purposes of parody, education, news reporting, research, or criticism, you’re generally not committing copyright infringement. However, determining what is or isn’t fair use is not always easy to do, and there is no single test you can apply to determine if your work qualifies as such. If you’re sued for copyright infringement, a court will determine whether fair use applies to you based on the circumstances. In other words, even if you think you are protected under fair use, a court may not see it that way. Purpose of Use. In general, the more commercial the purpose, the less likely fair use will apply. If, for example, you’re using a copyrighted work as part of a presentation you’re giving to an elementary school about local history, your use probably falls under fair use. On the other hand, if you try to sell a product based on a copyrighted work at a local arts and crafts festival, fair use probably doesn’t apply. Nature of the Copyrighted Work. Courts are less likely to find copyright infringement when you base your work on nonfiction sources, and more likely to find infringement when the source is fictional. For example, you might write a science fiction novel using the concepts you read about in a machine-learning textbook. In that case, you’re likely protected under fair use. But, if you design the cover for that novel using a painting you find online as a template, fair use probably doesn’t apply. Portion of Copyrighted Work Used. Fair use is more likely to apply when you only use a small portion of a copyrighted work. The more you use of copyrighted work, the less likely your work qualifies as fair use. Market Harm or Effect. Market harm isn’t always easy to quantify, but it often boils down to whether or not your work negatively affected the copyright holder’s access to the marketplace. If, for example, your work is so close in style or manner to the work you based it on that people buy your work instead of the original, you’re causing market harm. Similarly, if you could have realistically produced your product by purchasing a license but chose not to, you’re unlikely to be covered by fair use. One of the more famous examples we can use to illustrate the murkiness of the fair use doctrine arose out of the 2008 election. In the months preceding the election, artist Shepard Fairey designed the now-famous Hope poster, which he based on a photograph of then-Senator Obama. The poster almost instantly became popular, with Fairey selling hundreds the first time he printed the image in poster form. The image was eventually approved by the Obama campaign and was later added to the National Portrait Gallery. However, the Fairey poster was based on a photograph that Fairey didn’t own or have permission to use. The photographer, who was working for the Associated Press at the time, sued Fairey for copyright infringement. Fairey argued that his work qualified under fair use, and the two sides eventually settled the case. Though the details of the settlement were largely confidential, the legal battle itself arose because Fairey never owned the copyright to the original image, and never had a license to create a work based upon it. For those who are thinking about claiming fair use, the moral of the case is this: Even if you think what you are doing is fair use, you may only ever find out if you’re right after a lengthy and expensive legal battle. Works Not Protected by Copyrights. Some works, even though they are original and affixed in a medium, do not qualify for copyright protections. One of the most common examples of this is work produced by federal government employees. As long as the creator of the work was working in his or her capacity as a government employee when the work was produced, that work is in the public domain and is generally not protected by copyright, though it may have some restrictions on use. For example, photographs that NASA astronauts take while on the International Space Station are generally usable by anyone, unless the photo contains images of astronauts, or uses NASA insignia. Expired Works. Copyrights do not last forever. If you create a copyrighted work, that work will be protected until 70 years after your death. So, any person who inherits your work (and the copyrights to it) after you die has the same rights to exclusive use as you do as the creator. But, those rights expire 70 years after your death. While you may think that this means that any work created by someone who died more than 70 years ago is now public domain, you’re wrong. Because of legislation passed in the late 1990s, any work published in the United States prior to January 1, 1923, is now in the public domain. Work published after that date will enter public domain in 2019, when works published in 1924 see their copyrights expire. After that, works from 1925 will expire in 2020, 1926 in 2021, etc. Works Placed Into Public Domain by Dedication or Creative Commons. Dedication is when the creator of an otherwise copyright protected work decides to place it in the public domain. Dedicated works typically state, for example, that they are “granted to the public” or “dedicated to the public domain.” Upon dedication by the copyright holder, the work is no longer protected by copyright and is open to public use. Similarly, works created with Creative Commons licenses can also be open to public use. Creative Commons (CC) is a private, nonprofit organization that has created a system of public use licenses that impose a range of restrictions and abilities. For example, you might publish your work with a CC license that allows others to use your work freely, but only for non-commercial purposes. Some licenses allow others to use work only if they identify the creator; others allow work to be used for any purpose, including commercial. Works That Were Not Renewed. If a work was published between 1923 and 1964, the initial copyright protection only applied for 28 years. If owners wanted to continue protection, they had to file a renewal in the 28th year or the copyright would expire. If the work was not renewed, it became public domain. Once a work is in the public domain, anyone can use it for any purpose. However, not all public domain works are free to use. For example, original collections of public domain works can be copyrighted, as can derivative works based on public domain properties. So, if you see a collection of poems from a writer who died in the 19th century, the collection is likely protected by copyright, even though the original poems are not. As a rule, unless you’re certain a work is in the public domain, it’s best not to use it without permission. Similar to fair use, but less frequently encountered, is the idea of first use or first sale. Under the first sale doctrine, a buyer of a copyrighted item has the right to later resell that item without risking copyright infringement. For example, let’s say you buy a book, take it home, and read it. After reading it you decide to sell it. You sign up as a seller on Amazon, list the book as a used item, and sell it for a small fraction of what you bought it for. While you do not own the copyrights to this book, you do not infringe on any copyrights since they were protected when you first bought the book. The subsequent resale is not protected by copyright law. First sale does not give you the right to sell copyright infringing items. For example, you cannot design and sell a Star Trek t-shirt unless you have a license to do so, even if you are the first seller. But, you can buy vintage Star Trek items and sell them without a license and without risking infringement, because the items had previously been sold and protected by copyrights. Once sold, the items become subject to the first sale doctrine. What If Someone Else Is Selling Fan Art or Infringing Work? Let’s say you want to sell Harry Potter fan art on Etsy. Through your research, you discover there are already numerous Harry Potter-related items being sold, and all of them appear to be listed by creative crafters just like you. Over the coming months, you pay attention to the sellers to see if their listings get removed, but they don’t. The shop owners continue to list and sell the items without any apparent problems. Unfortunately, this doesn’t give you permission to start doing the same. Whether or not anyone else is making, selling, or giving away an infringing work has nothing to do with you. When you choose to infringe upon a copyrighted work, it’s you who opens yourself up to the liability of copyright infringement. While others may be similarly violating the law, their violation does not give you permission to do the same. Further, it is up to the copyright owner to decide what actions, if any, to take against infringing works. This includes deciding which works to take down or which sellers to sue. So, if you decide to sell an infringing work, the seller could choose to come after you, exclusively, and there is nothing you can do about it. That others are also selling infringing works is not a valid excuse if you ever have to defend yourself against an infringement claim. Can I Use Something If It Doesn’t Have a Copyright Notice? This idea is a holdover from how copyright laws used to work. Until the late 1970s, copyright law required that the creator of an original work had to indicate, by use of a copyright notice, that the work was copyrighted. If there was no notice of copyright on the work, that work fell into the public domain. While many creators still use copyright notices, they are no longer legally required by United States’ copyright laws. Further, even if you find a work without a copyright notice that was produced prior to 1978 (when the original changes to the law took place), or prior to 1989 (when additional changes were adopted), that doesn’t mean the work falls into the public domain. There are many reasons why an older work may not include a copyright notice but is still protected by copyright laws. The work may have been amended to correct the error, or the work you found may have been an unauthorized copy. Can I Mail My Book to Myself and Get Copyrights? The idea that you can drop a copy of your work in the mail and obtain copyrights to it has been around for a long time. Sometimes called the “poor man’s copyright,” this idea is based on the thought that if you have a sealed envelope with an official stamp, you can prove that you are the actual author of the work. While self-mailing sounds like a clever trick, it’s not very useful. If you want to register your work, self-mailing won’t help. Self-mailing a work is not mentioned anywhere in the copyright statutes, and the U.S. Copyright Office does not recognize it as a substitute for registration. As previously discussed, your legal options with a non-registered work are limited, and self-mailing doesn’t change that. Further, if you want to establish a clear timeline for when you created the work, self-mailing might help, but there’s no guarantee, as mail can be tampered with easily. Also, the act of mailing something doesn’t make you the copyright owner, and unless you can show you are, self-mailing isn’t going to matter. Finally, self-mailing to establish authorship is a strategy for a battle that is rarely fought since most copyright disputes don’t arise out of questions of authorship. Rather, they arise from questions of fair use, royalties, licensing, or other issues where the question of authorship is not a concern. Copyright law can be confusing at best and infuriating at worst. It’s a world full of timelines, deadlines, terms of art, and ambiguous phrases. Even the most experienced copyright experts do not always agree on how far the law extends or what it means for the average creative person trying to sort it all out. 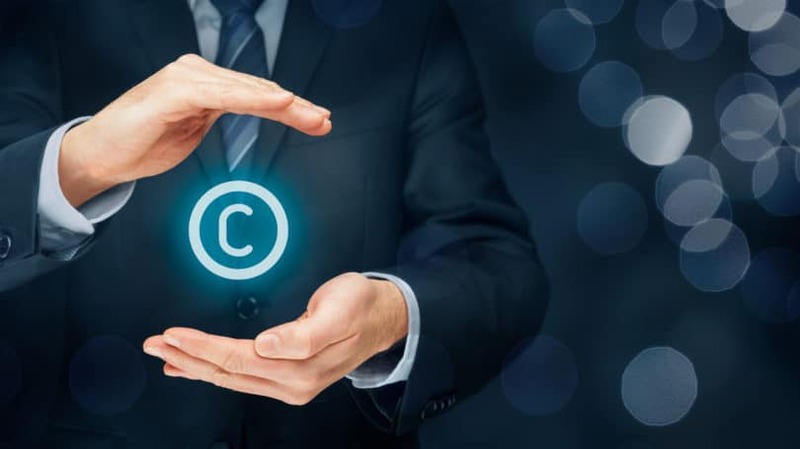 In other words, if you’re facing a copyright issue and need guidance, your only sure answer is to talk to an experienced intellectual property attorney. A good lawyer will give you a roadmap that can help you navigate the copyright world. Without that basic guide, you might find yourself lost. Have you ever been confronted with a copyright issue? What happened and how did you resolve it?